i cook 2 dinner meals each weekday good for the whole week except weekends. I microwave it and serve. I stress less. I like to use seasonal ingredients and whatever we can grow in our garden. I make a menu plan at the beginning of the week so I have a game plan and don’t waste time trying to figure out what is for dinner everyday. love this topic! i am the queen of meal planning and leftovers–its the only way we eat well with such a busy schedule! The best way for me to keep it simple in the kitchen, is to take it outside. I grill everything, and I do mean everything. Especially love grilled vegetables that I add to almost any meal. I happen to be a vegetarian, but my husband and children are full blown carnivores. Meat, veggies, starch, on the grill! I buy a large head of lettuce over the weekend and make a big salad every day before work! Hard-boiled eggs are a cheap and easy protein to keep on hand for salad. I menu-plan, and also prep ahead as much as I can. I cook large amounts and freeze meals to make it less stressful on me during the work week. I make sure I plan ahead so that I have all the ingredients on hand and prepared so dinner can happen in a jiffy! i keep it simply smart in the kitchen by using my crockpot a lot! 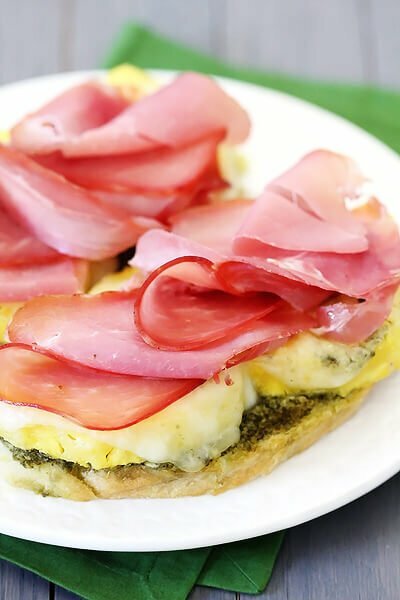 I do weekly meal plan and pre-cook some ingredients during weekend. i meal plan! i also try to plan meals that will use each other’s ingredients so i cut down on waste. I keep it smart by meal planning for my whole week! I keep it smart by having meals planned ahead of time and make sure I always have the ingredients!!! I love your simple ingredients creation. I keep it simply smart in the kitchen by reusing food container for something else. Such as cleaning out the yogurt containers and taking them with us to the beach to build sand castle. The kids had so much fun. :) I also reuse my nuts container for homemade granola. I cook ground meat and freeze it, then just defrost what I need for a quick spag or taco meal. I try to make two meals at once, either doubling a recipe to freeze half or considering the leftovers the start of a new meal like making chicken salad after the meal is done, while doing the cleanup so you’ll have a meal for the next day all lined up. 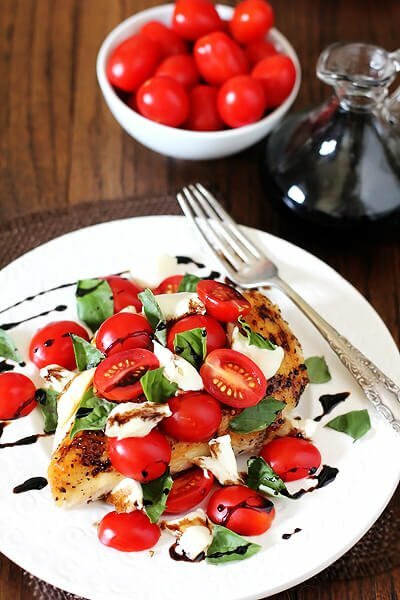 That chicken caprese looks AMAZING. I keep my kitchen simple by menu planning and shopping on the weekends. Helps to mkae everything run smooth during the week! The crock pot is my biggest time saver – love crock pot dinners! I like to make recopies with simple ingredients, I put my most used tools and ingredients in the most accessible place. Thanks for the tips and giveaway. I have always wanted to “keep it simply smart” in my kitchen by having a good, solid meal plan. For some reason I can never find the time to put together a list that makes sense, so when I go grocery shopping, I just buy whatever ingredients I can find that I think will make a few tasty, healthy meals. It would be so much easier on my pocketbook and our waistlines if I had a better plan. I like to make salads and fruit ahead of time and put them in plastic bags for easy to grab! I make it simple by organizing like items together! Thanks for a chance to win and have a great day! I use my freezer all the time to keep ingredients for quick meals and leftovers or batch cooking. 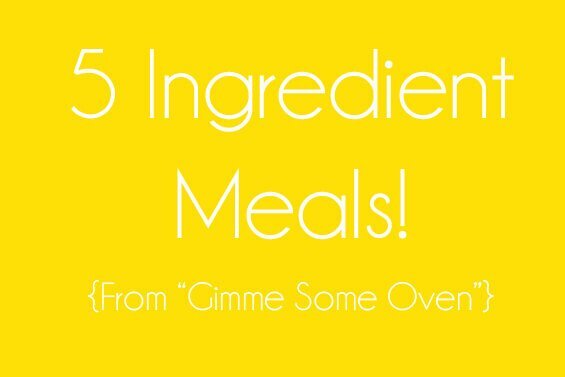 I need to investigate some of the ideas for 5 ingredient meals and more batch cooking recipes.